Blossom Blaster by Grotek is used as the start of the flowering period in order to shorten your leaf-nodes, increasing the presence of buds right from the start which increases final yield quite a lot. 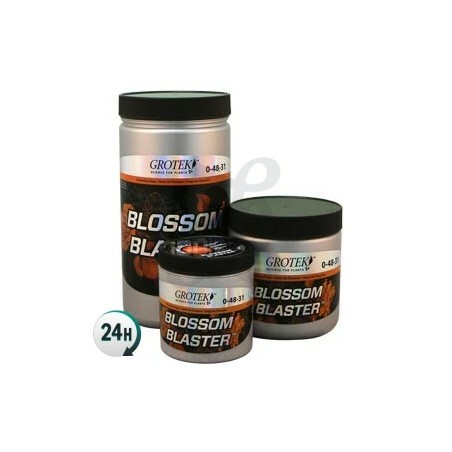 Blossom Blaster by Grotek is a flowering accelerant that’s generally used at the start of the flowering phase, increasing the amount of pistils on your plants. After the second dosage you should begin to notice quite an explosive growth. 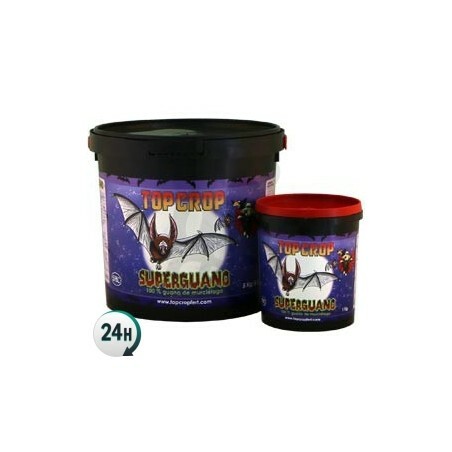 This incredibly potent powdered product is designed to give amazing results during the first few days of the flowering period, producing plenty of flowers with an intense aroma. Blossom Blaster by Grotek stops vertical growth in order to grow more compact plants with plenty more flowers. It’s perfect for indoor plants as you’ll be able to control their height much easier, allowing you to keep them further from your lights. It’s compatible with drip irrigation systems thanks to the fact that it’s easily dissolved. 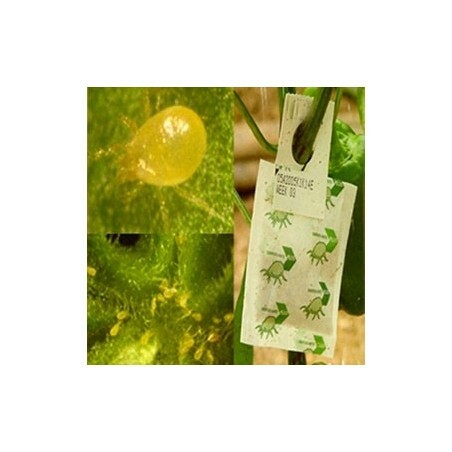 It can be applied in almost any growing medium, such as hydroponics, aeroponics, NFT, coco coir and soil. Consult their full grow/fertilizer chart in order to get much better results, combining it with products such as Solo-Tek Bloom, Bloom Fuel, Monster Bloom and Heavy Bloom. This allows for professional and exceptional results. Add 1g per 10L of water and mix well. Water each plant with half a liter of this once you’ve flipped the lights. Repeat again two weeks later. Warning: do not mix with other products, use with water only. Do not spray Blossom Blaster. ATTENTION! Grotek has majorly renewed their nutrient line, having come up with new compositions for their entire line of products and have even changed some of their names. Blossom Blaster will still be available in powdered form, but now you can also buy Blossom Blaster Pro, which comes in liquid format along with a smoother concentration, allowing for foliar application.